Four Pillars of Wisdom. 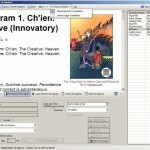 Chinese I Ching Astrology Software. 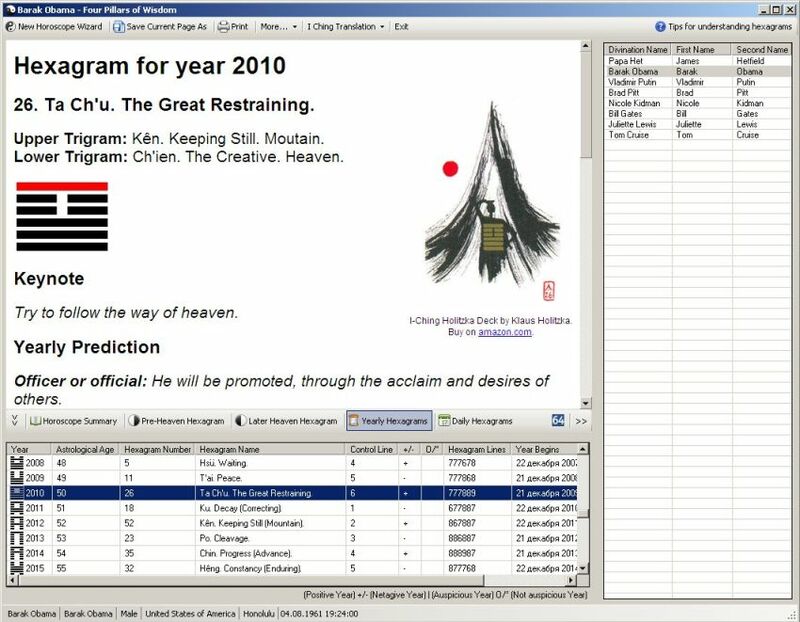 Working with the program, you get personal birth chart based on I Ching (Chinese Book of Changes) which represents a figured description of forces and influences following you during your lifetime. The recommendations are given in the form of I Ching Hexagrams which are the essence of Chinese Book of Changes. A birth chart is calculated according to the I Ching Astrology system. 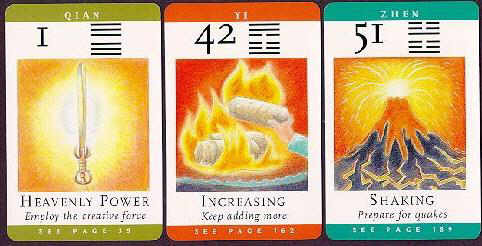 Let I Ching help you to analyze your destiny! Pre-Heaven Hexagram. Hexagram which represents forces influencing first part of your life. Later Heaven Hexagram. Hexagram which represents forces influencing second part of your life. 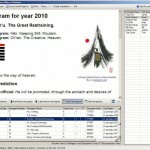 Yearly I Ching Hexagrams. 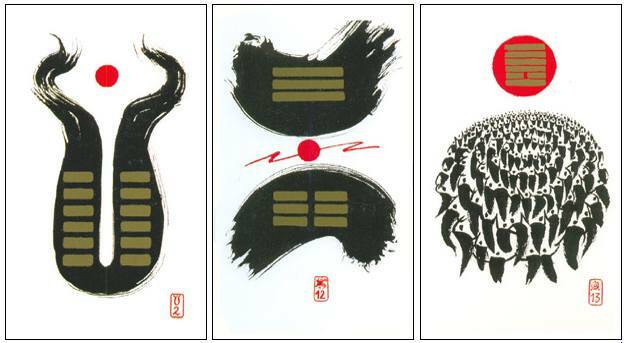 Series of hexagrams describing influences for each year of life. Daily I Ching Hexagrams. 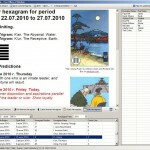 Series of hexagrams describing influences for each 6-days period in a chosen year. 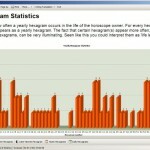 Yearly Hexagram Statistics. The graph illustrating what life lessons will more often occur during your lifetime. 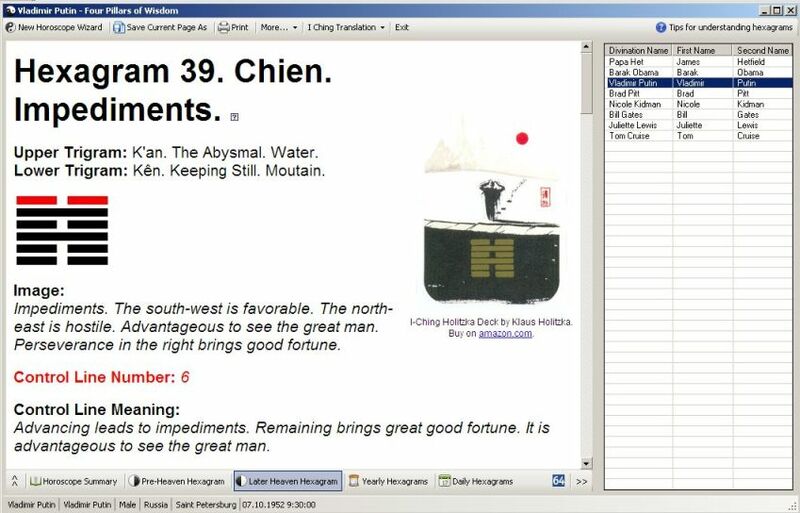 Every I Ching Hexagram is backed with commentaries which can provide you outstanding visual and intuitive experience. Yearly Hexagrams can help you to understand how you could behave each year to be in harmony with surrounding world. Daily Hexagrams are hints which can help you to “feel” the situation around you and make right decisions every day. The overall appearance is good; entering the birth data is easy especially because you list the major places in every country. – Harmen Mesker (member of Netherlands I Ching center and the author of outstanding I Ching blog). The program is easy and comfortable to use. No special knowledge of astrology is needed. 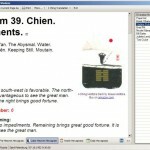 Most in-depth among all types of astrology of the ancient China is used in the program. 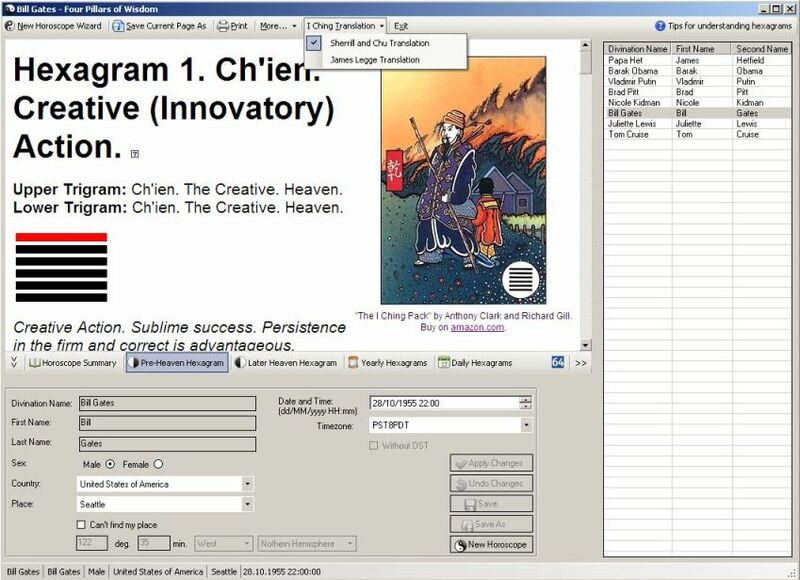 Several I Ching translations are included in order to make the process of understanding and analyzing hexagrams easier. The program has a huge database of cities from all over the world, so you will not have to look for coordinates of your place of birth in other sources. 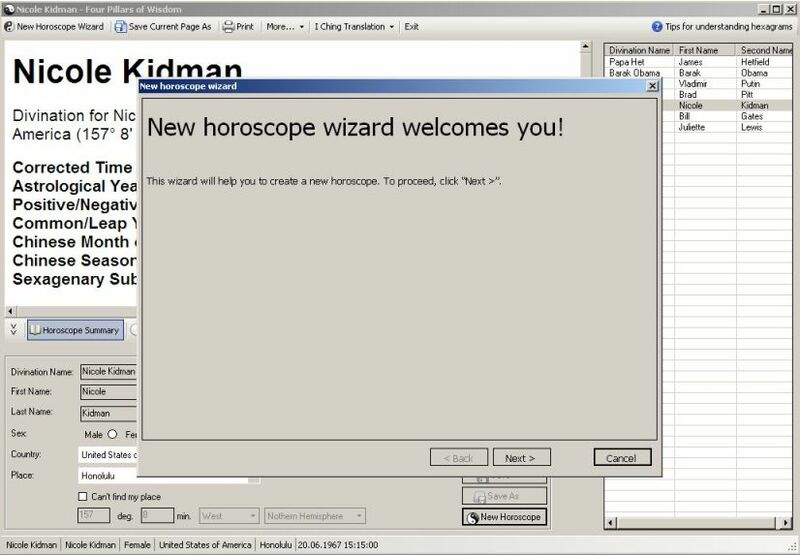 A very comfortable user interface will allow you to “play” with casting horoscopes. 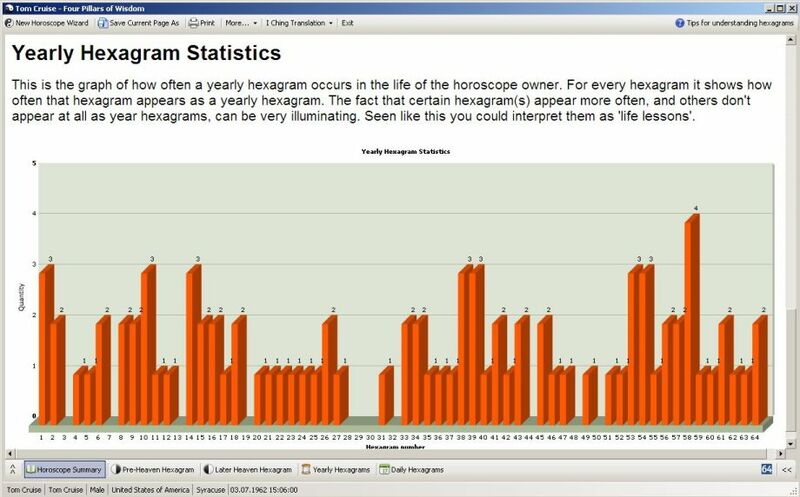 Yearly Hexagram Statistics can help you to understand what “life lessons” will more often occur during your lifetime. Help and explanations of comments to hexagrams are included. Specially for I Ching beginners! If you have a question, at any time of day or year, you can address it to the author! It is completely free of charge! Why use I Ching Astrology? It is the most in-depth among all types of astrology of the ancient China. I Ching Astrology gives information about forces which influence you during your life time and gives advices how to act in order to be in harmony with the surrounding world. It can provide you a fascinating visual and intuitive experience. I Ching Hexagrams used in this astrology are great tools for insight. This astrology system represents a guide to the very depth of your intuition, which would help you to take right decisions in your life, to know yourself and the world around you. No interpreter is needed. Life analysis based on Astrology of I Ching is easier to interpret in comparison with traditional BaZi analysis because BaZi has many combinations and depend on the interpreters skill and experience. The program is easy and comfortable to use. Birthday Hexagrams of Pre-Heaven and Later Heaven, representing forces influencing accordingly the first and the second parts of life. Yearly Hexagram representing forces influencing each year of life. Daily Hexagram for each 6-days period of life for chosen year. Pop-up help and explanations of comments to hexagrams are included. Specially for I Ching beginners! Usability. There is no need in any special knowledge of astrology or any other sphere. 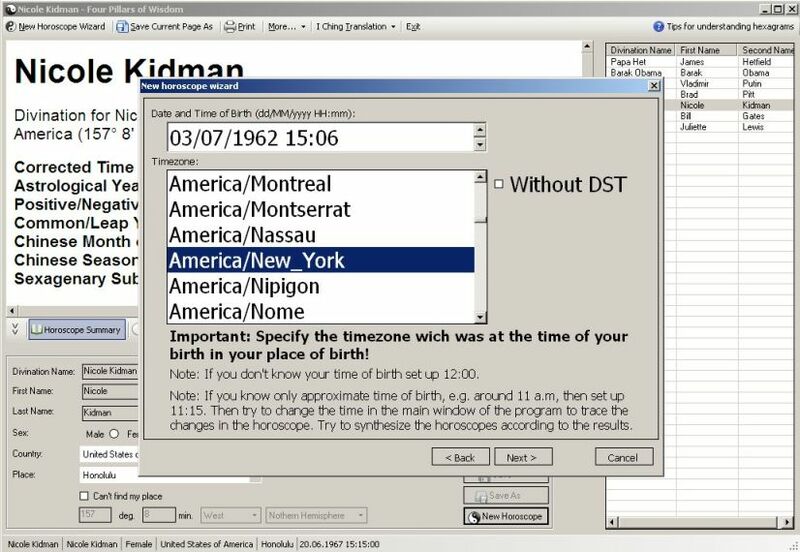 Practical user interface with comfortable arrangement and displaying of information which would let you “to play” with casting horoscopes. Huge database of cities from all over the world. So you will not have to search for the coordinates of your birth place somewhere in other sources. Any time you have a question, you can address it to the author! All calculations used in Four Pillars of Wisdom are based on the book The Astrology of I Ching written by W. A. Sherrill and W. K. Chu. Methodology of I Ching Horoscope calculation described in this book was developed by Shao Yong – notable numerologist of the ancient China. There is a potent form of ancient Chinese Astrology which is called Eight Characters (BaZi 八字) or Four Pillars of Destiny as it known in the West. This astrology uses mathematical calculations, based on conception of five main cosmic forces, so called Five Elements (wuxing 五行): wood, fire, earth, metal and water. BaZi takes our birth data – year, month, day and hour of birth and translates it into four pairs of distinct Chinese Characters. Four pairs make Eight Characters (or BaZi 八字). Each pair is also known as a pillar, hence the term Four Pillars. The eight characters are made up of the yin and yang variations of the Five Elements. I Ching Astrology used in the program is a linkage between I Ching (Chinese Book of Changes) and Four Pillars of Destiny (BaZi). On the other hand, in ancient China the divination methods based on philosophic and divination text – I Ching (Chinese Book of Changes) were very widespread as well. So it is understandable why such system which combines the hexagrams of the I Ching with Chinese Astrology (BaZi) appeared. This system is known as ”Heluo Lishu 河洛理數” (”The Numbers and Principles of the He and Luo river documents”) and it is described in the manuscript with the same title. 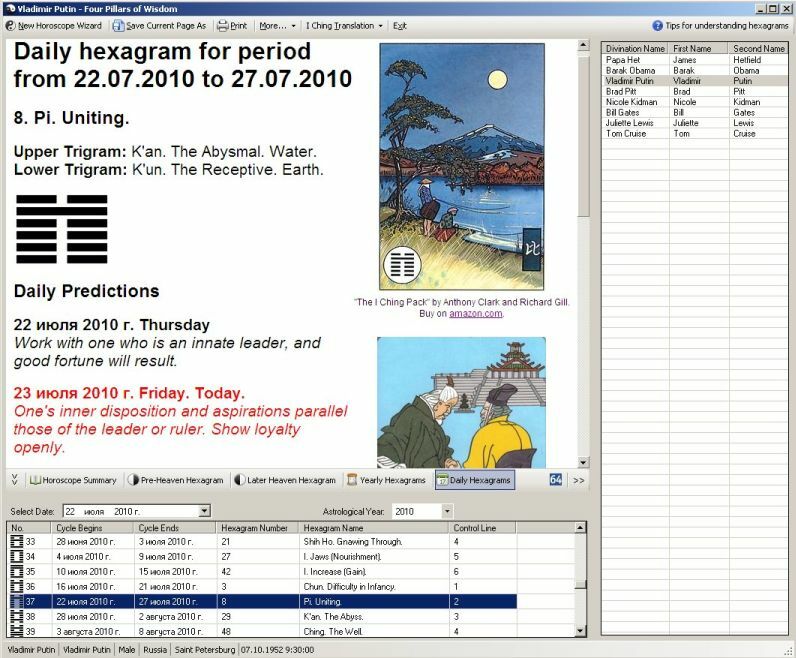 This system connects Chinese Astrology (BaZi) with I Ching, hence the term I Ching Astrology. According to this system, you can calculate your BaZi on the basis of your time and place of birth. 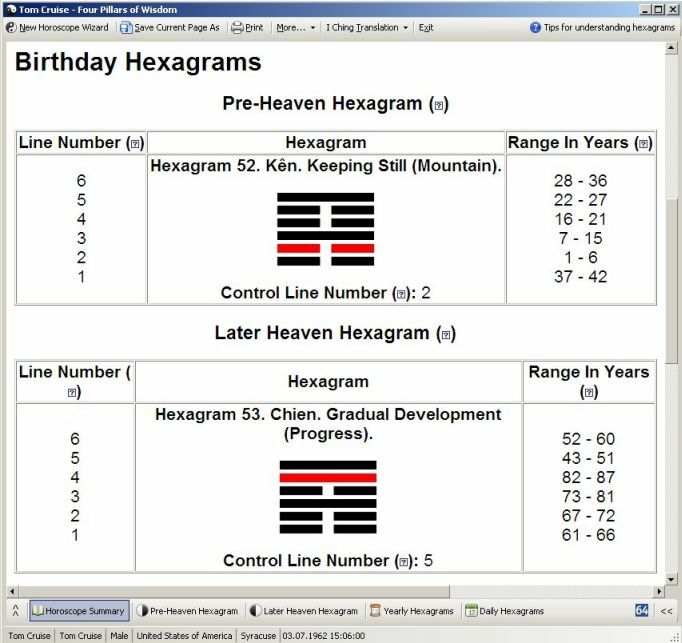 Then, on the basis of calculated BaZi, you can determine two birthday I Ching Hexagrams - xiantian 先天 or Pre-Heaven hexagram and the yuantang 元堂 or Later Heaven hexagram. You can also calculate Yearly Hexagrams (daxiang 大象) and Daily Hexagrams (which are in fact hexagrams for each 6-day period, but it’s easier to call them Daily Hexagrams). 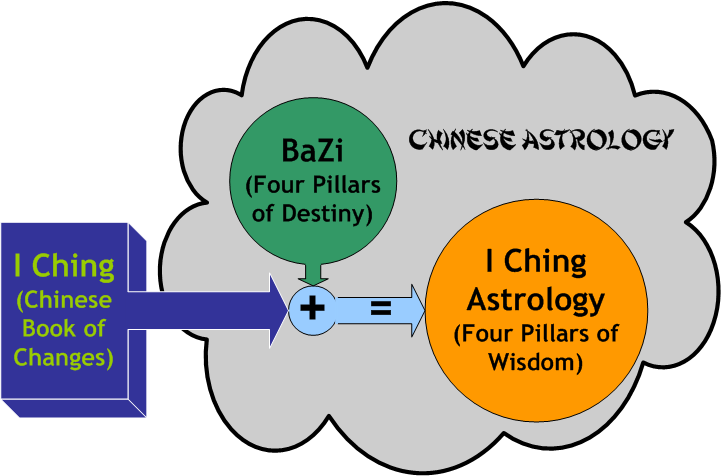 Life analysis based on Astrology of I Ching is easier to interpret in comparison with traditional BaZi analysis because BaZi has many combinations and depend on the interpreters skill and experience. In this astrology I Ching Hexagrams are used for this purpose. They can provide you excellent visual and intuitive experience, thus no interpreter is needed. The interpretation of calculated hexagrams renders about forces, which influence a person during his life time, gives the information about ones destiny and character, gives advices how to act in order to be in harmony with the surrounding world. The Heluo Lishu system was introduced by the authors Sherrill & Chu in their book The Astrology of I Ching. All calculations implemented in Four Pillars of Wisdom are based on this book. This astrology is the most in-depth and the most complicated among all types of astrology of the ancient China. In the I Ching Astrology, with the help of the program Four Pillars of Wisdom, on the basis of time and place of birth a I Ching Horoscope can be calculated. 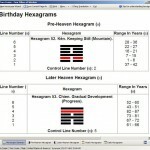 The horoscope consists of two birthday hexagrams – Pre-Heaven Hexagram and Later Heaven Hexagram. Pre-Heaven Hexagram describes forces influencing the first half of life of the horoscope holder. Later Heaven Hexagram gives interpretation of forces prevailing consequently during the second half of life. Each of these hexagrams has its control line, which represent the core of the hexagram. Influence of forces described in both hexagrams can be changed by karma or free will of a person. Beside this, the horoscope includes description of annual and daily cycles of life. This is, in fact, description of evolution of Pre-Heaven and Later Heaven Hexagrams during the life of a person. The received predictions are based on interaction of two trigrams composing each hexagram in view of the control line position. When elements of a hexagram are in harmony to each other, then success and favorable events are expectable. It should be noted that comments to the hexagrams give interpretations for the “Most Auspicious” and the “Least Auspicious”. It is based on the conception of reincarnation showing that each soul comes back to the world with specific initial conditions depending on its karma. Of course, a person can control his destiny and developing himself, he can improve his level of “auspiciousness”. This can be done if the person learns from his mistakes, and, regarding astrology, he study cycles, which often repeat, in his life. It should be understood that this astrology is very subjective and it will not tell you what will happen to you and moreover will not give precise directions to act. The individual alone can know all truth about his life and himself. This is a part of his personal freedom. The I Ching Astrology is your guide inside your intuition which will help you to understand the situation you are going through and to realize the world surrounding you. Feel FREE to contact the author. The overall appearance is good; entering the birth data is easy especially because you list the major places in every country. – Harmen Mesker (member of Netherlands I Ching center and author of great I Ching blog).